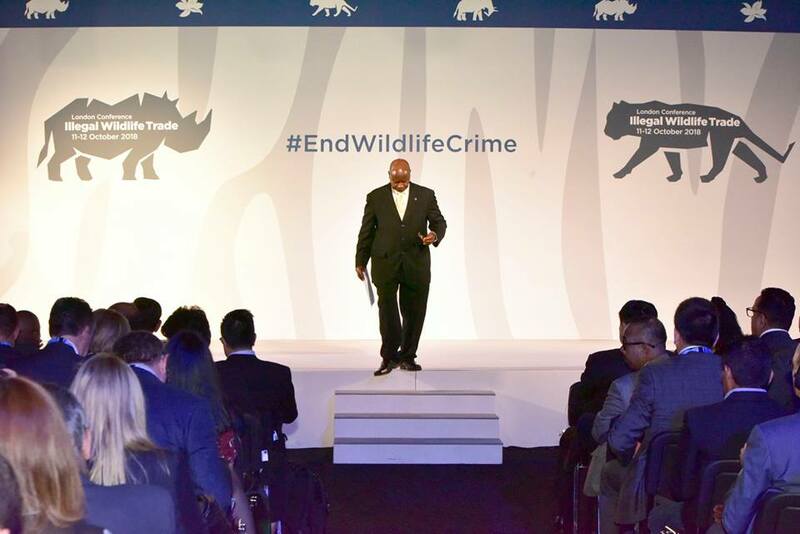 LONDON– President Yoweri Museveni who is in the British Capital London for an International Conference on illegal wildlife trade (IWT), made the plea to end poverty and to protect the endeared wildlife. Mr Museveni said that the issues of illegal wildlife trade cannot be divorced from poverty and that countries must strive to get their people out of poverty through sustainable tourism, investments, trade, and industrialization, adding that the structure of the society in Africa needs to change as happened in Europe. “In Uganda, for example, 20% of the money generated from wildlife is shared with the local people neighboring protected areas to help improve their livelihoods. We must strive to get our people out of poverty through sustainable tourism, investments, trade, and industrialization,” he said; adding that the structure of the society in Africa needs to change as happened in Europe. 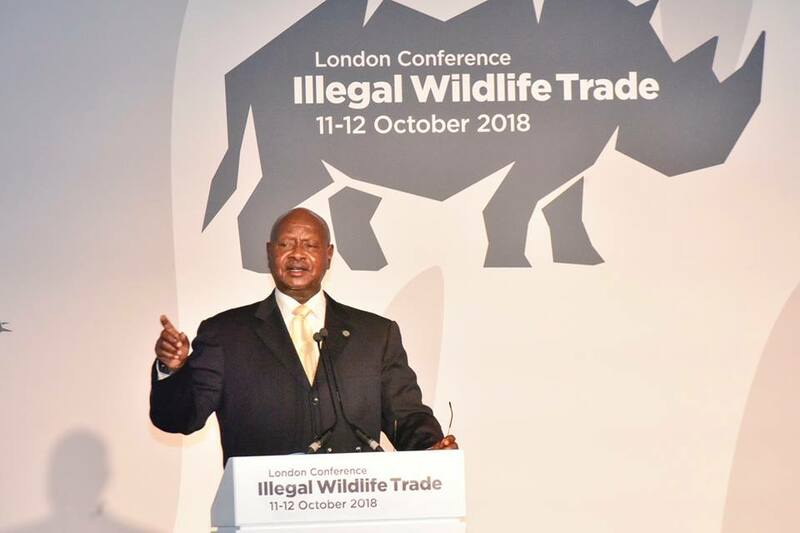 Museveni was speaking during the fourth Conference on Illegal Wildlife Trade (IWT) which opened on Thursday at the Battersea Evolution in London, United Kingdom. Museveni has said that Uganda remains committed to stop the menace of the illegal wildlife trade at national, regional and global scale and that Uganda is among the few countries in the world with an increasing elephant population. “Elephant population in Uganda had almost crushed at only 2,000 individuals in 1983 due to the past political turmoil in Uganda. When NRM established the rule of law, security, and stability, we have been able to recover the elephant population trend to a positive trajectory and the numbers continue to increase, now standing at 6000,” he explained. The conference was also addressed by the Duke of Cambridge Prince William, President Mokgweetsi Masisi of Botswana, and President Ali Bongo Ondimba of Gabon among others, among others. The Duke of Cambridge Prince William Arthur said in his keynote speech that it makes economic sense to protect wildlife from criminal networks targeting animals in the wild. “It’s heartbreaking to think that by the time my children, George, Charlotte and Louis are in their 20s, elephants, rhinos and tigers might well be extinct in the wild,” he said, adding that that he could not face his children if his generation allows elephants, tigers and other species to become extinct. According to the State House, the president also held a meeting with HRH Prince William, Duke of Cambridge at Buckingham Palace. According to the organizers, addressing IWT and promoting conservation is one aspect of protecting the tourism industry and the vital direct and indirect jobs it provides.